Breathtaking, devastating, a tale of immense courage against all odds, Virunga the Movie is the true story of a small group of brave people fighting until this day to keep the last mountain gorillas, and the park, alive. A World Heritage Site, Congo’s Virunga National Park is surrounded on all sides by a corrupt Congolese army, brutal rebel militia groups, and refugees, one million people – the spill-over of the 1994 Rwandan Genocide. 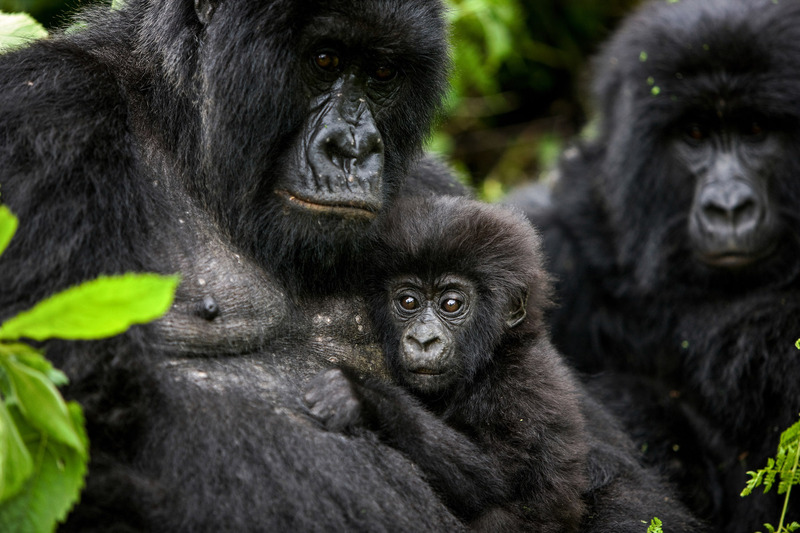 As if this wasn’t enough, Virunga is plagued by Eco-Terrorists; Oil companies such as French major Total and American backed, London-listed Soco International seek to divest Virunga and the DRCongo of its’ natural resources. Public and army officials are in cahoots with these companies, receiving bribes to bully anyone blocking their way. Some of these bribes have resulted in murder. Corrupt officials are complicit in rainforest devastation by illegal charcoal harvesting and wildlife poaching, as are a handful of rangers, the very people assigned to protect the park. These rangers have been exposed and fired – some have been jailed. 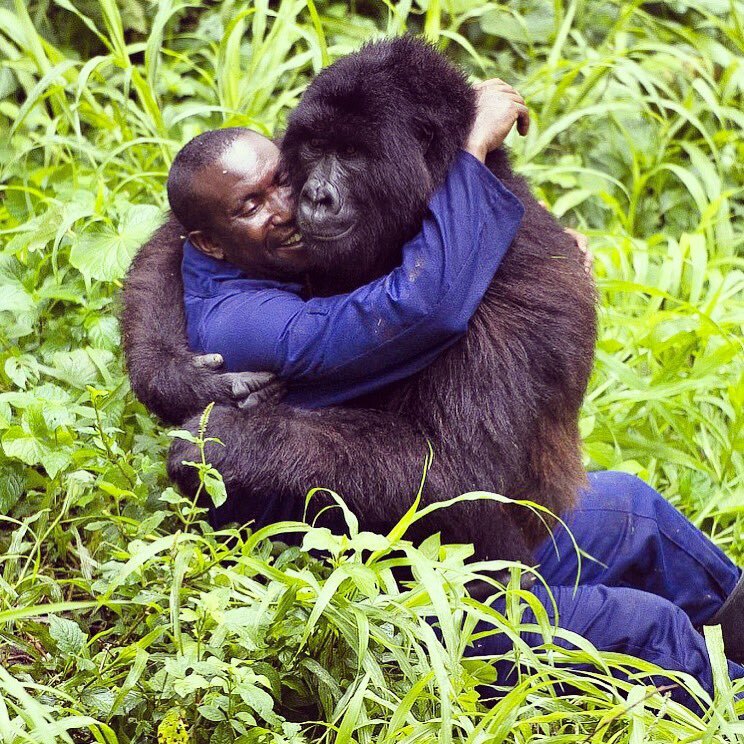 2007 – The year that Virunga stood still. During that summer, seven gorillas of the Rugendo family were assassinated. They were not killed in the normal way, the poacher way. Poachers usually kill the parents and steal the infants to sell them. They were not murdered by trophy hunters, dismembered for body parts or eaten. They were executed. Amongst those who discovered the bodies that day was Brent Stirton who took the photos in this post. Brent had initially gone to report on and photograph the fighting between the Congolese army and two rebel militia groups occupying the park. What he found was something else: as he said “Seven gorillas had been shot. I took three frames then had to leave because the army was looking for me”. On the night of the killings, shots rang out. The next day, 24th of July, Brent followed Virunga park rangers into the forest. Three females, one clearly pregnant, were shot in the back of the head and burnt. Two infants could not be found. Senkwekwe the Silverback was found dead, his hand resting on his heart, shot multiple times through the chest. What followed was unprecedented: dozens of shocked, speechless rangers and villagers gathered at the site. They covered the murdered gorillas with leaves, gently binding each wound and mouth. 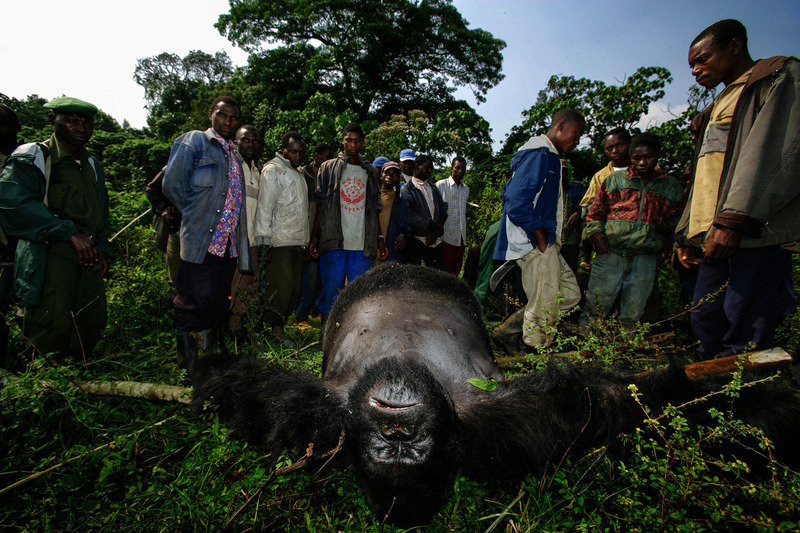 The bodies of Senkwekwe and the female gorillas were lifted high onto their shoulders. It took 4 hours for the procession to trek the endless miles back to the rangers’ base. It is there that their bodies now lie, in the park’s gorilla cemetery. 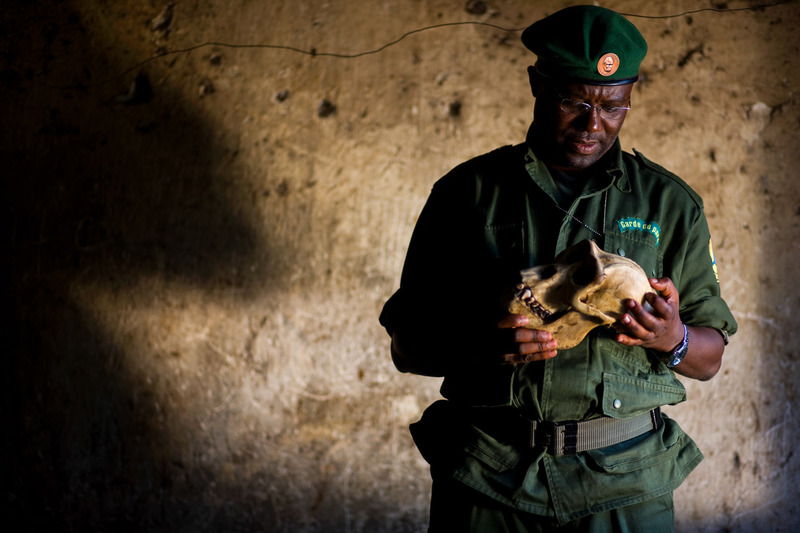 Behind the killings was former Virunga Chief Warden, Honore Mashagiro, who was running a network of illegal charcoal deforestation and trade within the park. Under his command were hordes of charcoal poachers. Standing in his way was Paulin Ngobobo, warden for the southern sector of the park, a man of the highest calibre and Virunga ranger of 20 years. By late 2006, Ngobobo’s campaign against the poachers was beginning to make headway. 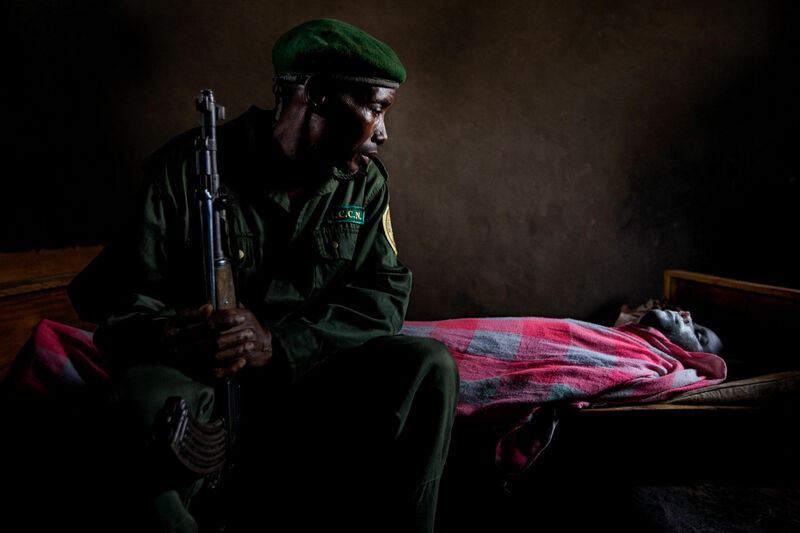 Out on patrol, he and seven rangers were attacked by Congolese and FDLR soldiers. They escaped and Ngobobo reported the incident to the colonel at the military camp, who, as it turned out, was in league with Mashagiro. This was the beginning of the end. 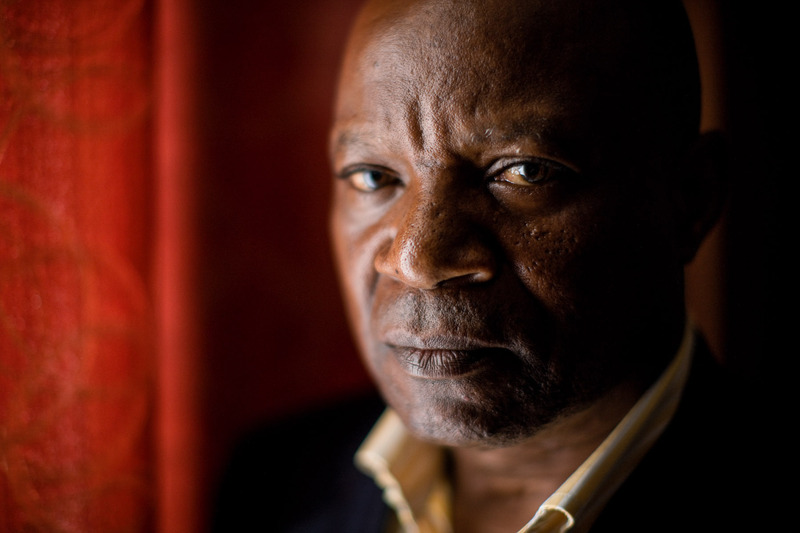 Ngobobo was imprisoned and tortured for weeks. Mashagiro decided to send another warning to all those who opposed him. He ordered the execution of the Rugendo Gorillas and blamed Ngobobo for the killings. Unesco and the World Conservation Union (IUCN) started an investigation. Although not publicly known, this put pressure on the Congolese Wildlife Authority (ICCN) to instigate its’ own investigation. Lawyer Matthieu Cingoro was hired to pursue the case. Mashagiro was arrested and charged but never convicted of the gorilla assassinations or charcoal trafficking. Paulin Ngobobo was cleared of all false accusations. He accused Mashagiro of killing hippos for profit. Until today Mashagiro walks free. 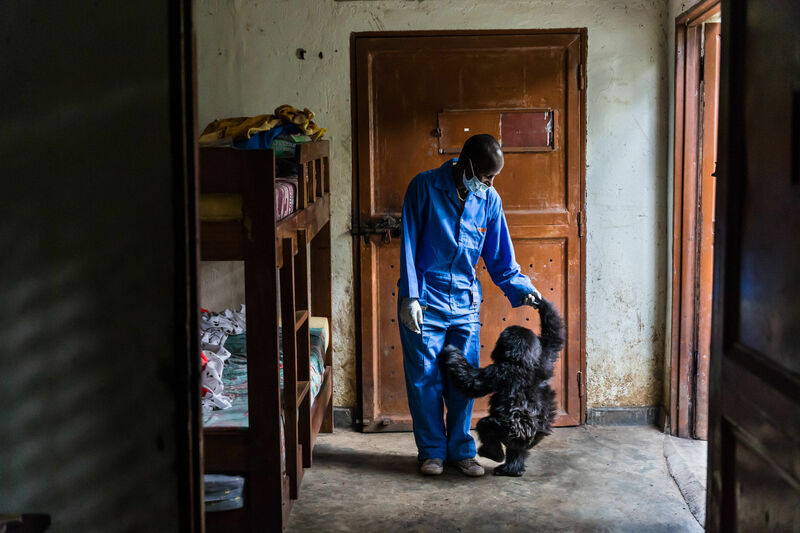 Protecting Virunga is one of the most dangerous wildlife conservation jobs in the world. Many rangers have been threatened and tortured – more than 130 have been killed in the line of duty. The job of ranger is passed down from father to son. Generations of brave men who fight for what they love and what they believe in. Rangers are marked men – targeted by every single individual, group or faction bent on making a financial killing. 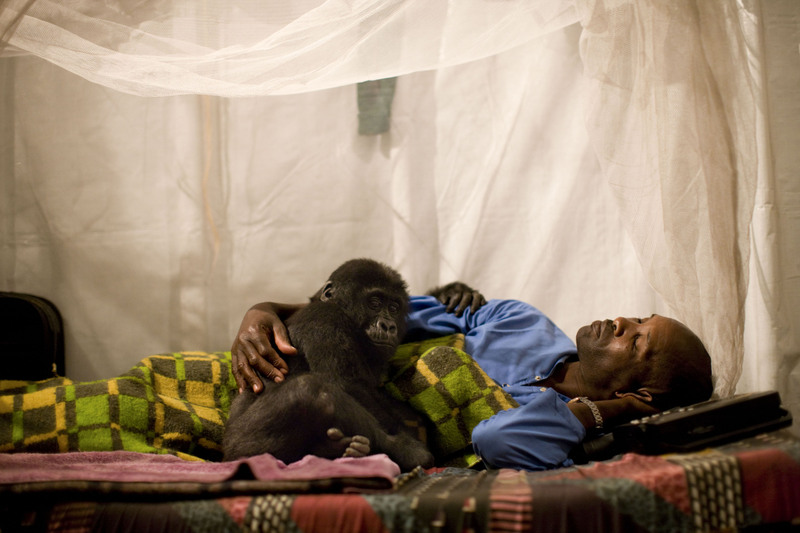 In April 2014, Virunga Park Director Emmanuel de Merode, was ambushed and shot in the stomach and legs. Luckily he survived. Ranger Easter Ishara Birindwa was killed during a Mai Mai attack in August 2015. In October 2015, Ranger Jean Claude Kiza Vunabandi was killed defending the park. Being a ranger means you risk all – you risk your life. The Rangers receive a small salary from donations. There is no other support. Rangers and their families are forced to live under difficult conditions – living accommodation for the most part consists of tiny huts. The widows and children of the fallen rangers are in the same boat. Virunga can only survive through the public’s good will. There are ways you can help. Even a small donation of $8 towards a pair of new ranger boots makes a difference. You can adopt an area, support a baby gorilla, or contribute to the Fallen Rangers fund. There are so many choices and ways to help. You can actually book and stay in one of Virunga’s newly built lodges, a recent project to promote tourism back to the park. There are magnificent tours you can go on. And if you’re very lucky, you may catch sight of the Virunga Gorillas. All links are at the bottom of the page.